The Prime Minister this afternoon warned the European Union the UK will not cave to its demands for the future of the Irish border and would leave the bloc without a deal if need be. 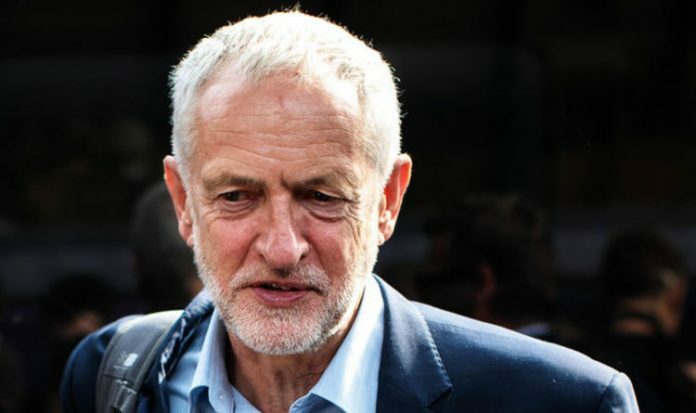 But responding to Mrs May’s comments, the Labour leader attacked the Government’s approach to the talks and insisted “no deal is not an option”. He said: “Theresa May’s Brexit negotiating strategy has been a disaster. The Tories have spent more time arguing among themselves than negotiating with the EU. Mrs May delivered her Brexit update from Downing Street after her vision for the split was flatly refused by EU leaders yesterday. In a fiery speech which criticised the bloc’s refusal to budge in its demands for the Irish border, she warned her European counterparts neither of the two options they have proposed are acceptable. She explained one option would keep Britain tied to EU rules and “make a mockery” of the Brexit vote while the second would effectively cut Northern Ireland off from the rest of the UK.